Waiting until the "last minute" to book the wedding cakes. They may find the date filled and if isn't, the designs for their cake may be limited. They may not find, or get, the cake they were really looking for. Marriage is a serious commitment and planning a wedding can be stressful. But that doesn't mean you can't have fun with it in order to relieve some of the stress. Give yourself plenty of time to meet with your vendors and don't try to squeeze vendor appointments into a tight schedule. You'll be more relaxed and each appointment will be more enjoyable. What don't couples know about your company that they need to know? 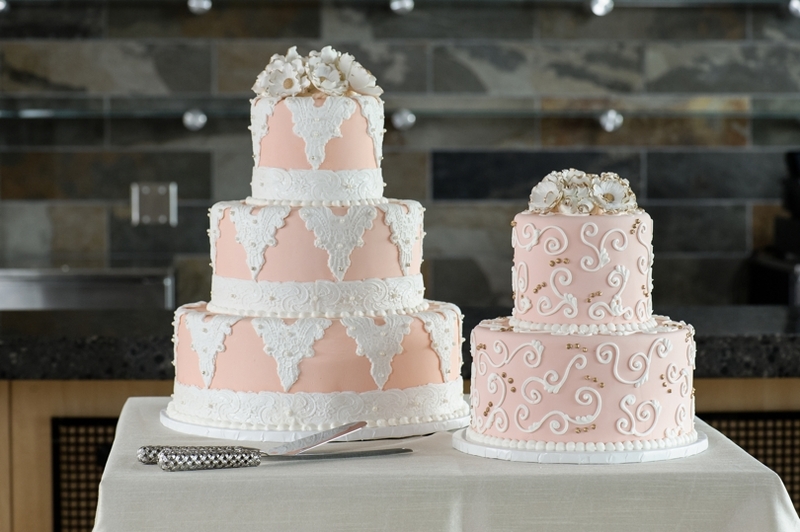 We have three very talented cake decorators which gives us the capability to do more than one wedding cake in a day. Each decorator also has their own unique set of skills which allows us to meet most requests for designs. We also do pies and other desserts for weddings. The chain of events from baking the cake through completion and delivery. How is the cake constructed to assure that it remains intact without leaning, sinking, or collapsing? Seek advice if you need it. Give yourself plenty of time for planning, explore options, keep it light and have fun with it. Slightly unusual and memorable at the same time was a cake we did several years back. The Outer Banks were evacuated due to a hurricne and a wedding scheduled was not going to happen. The wedding party and guests all had to leave and decided to still go on with a last minute wedding in Raleigh. They contacted us to see if we could do a same day last minute wedding cake. We were able to do it for them and excited to do so. It all worked out.